So my biggest weakness and struggle has always been the sweets!! Annnnddd I just LOVE breakfast foods! Mainly pancakes and waffles lol hehe So I occasionally need to come up with some magnificent concoctions that kill these crazy cravings! These hit the spot, let me tell ya! 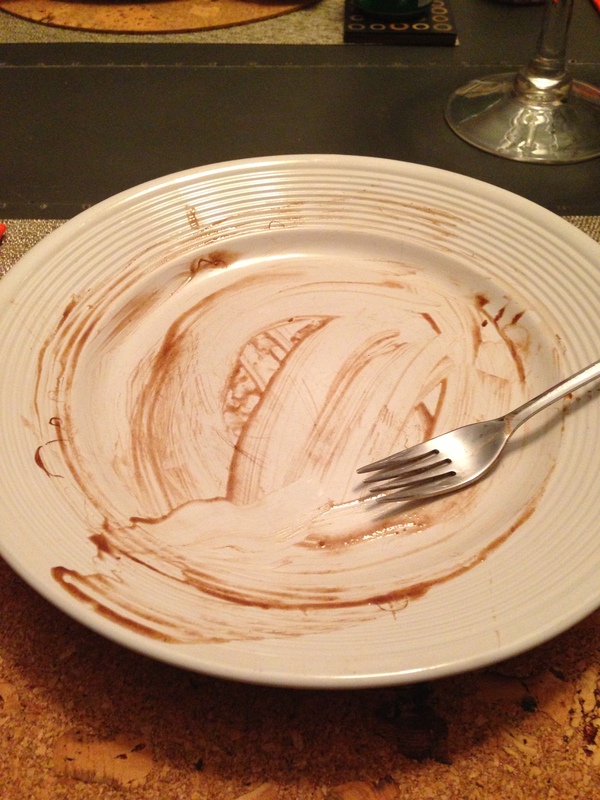 I was licking the spatula clean while i was making the batter… And as it cooked on the wafflle iron i could smell the delicious chocolately concoction! Literally stared at it until it was ready!! 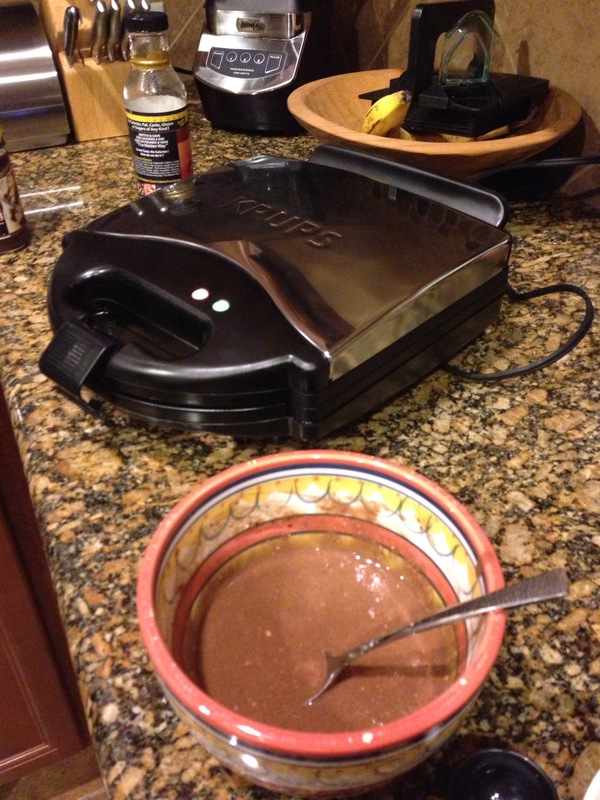 So they key to maing really good waffles is to have a good waffle iron! My sis got me this Krups iron for Christmas and its great! mess free and easy to clean! Def recommend it! 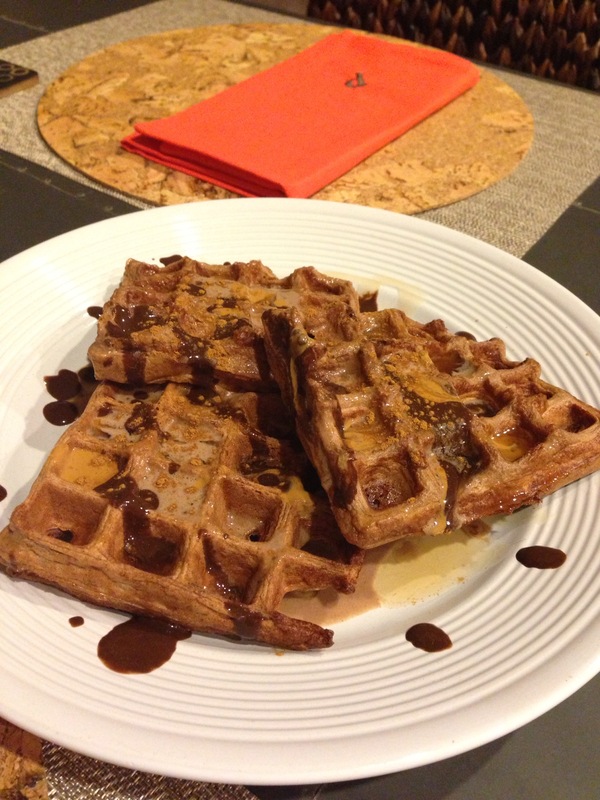 Ok so on to the recipe… I used Cellucor’s cinnamon swirl protein for these. You could just as easily use any other brand, however those of you that have taken my advice and bought this protein (and the PB marshamlow flavor) know just how tasty and creamy the protein is… And you can use my promo code KPOW to get a discount on their site too! Ok so here we go… Literally takes like 5 min to make! 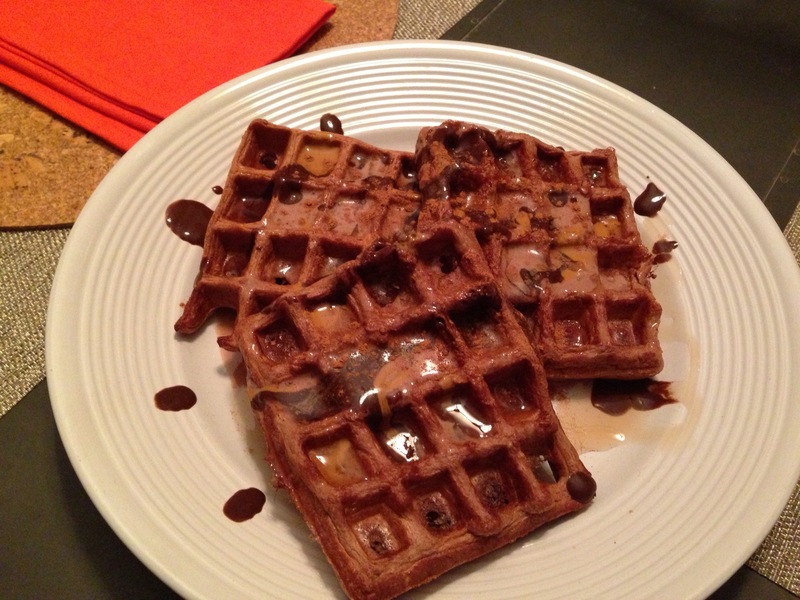 I hope yall enjoy and salivate over them like I did… . 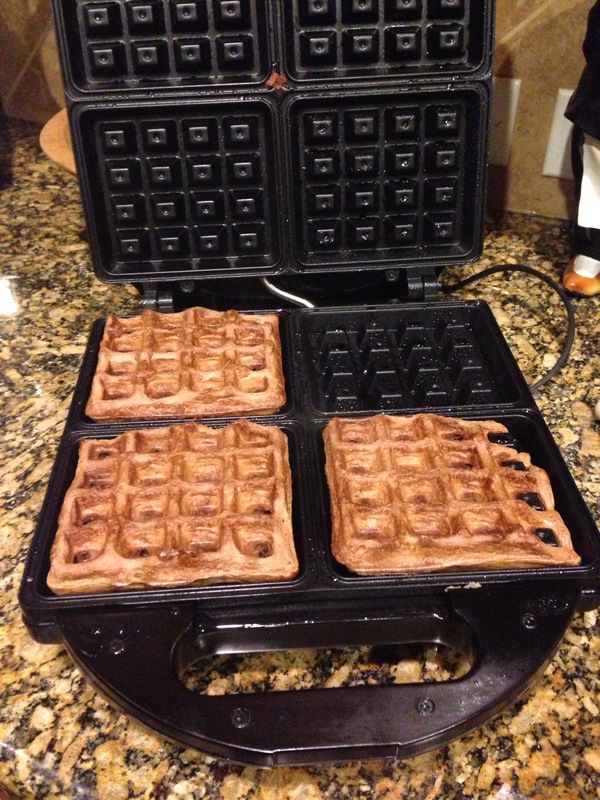 Cook for about 3 minutes in your waffle iron… Tip: they cook a bit faster than normal wheat/flour waffles. 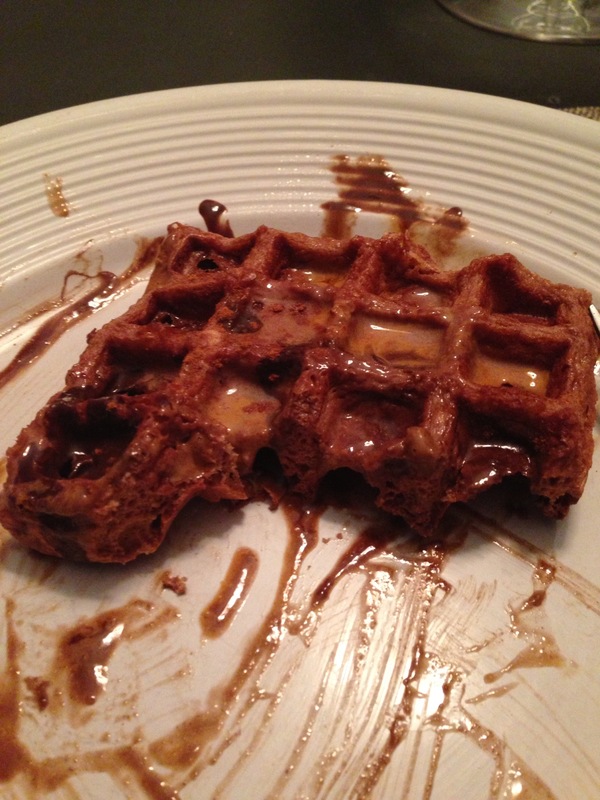 I topped mine with Protein Icing and Walden Farms Chocolate syrup and Pancake syrup. 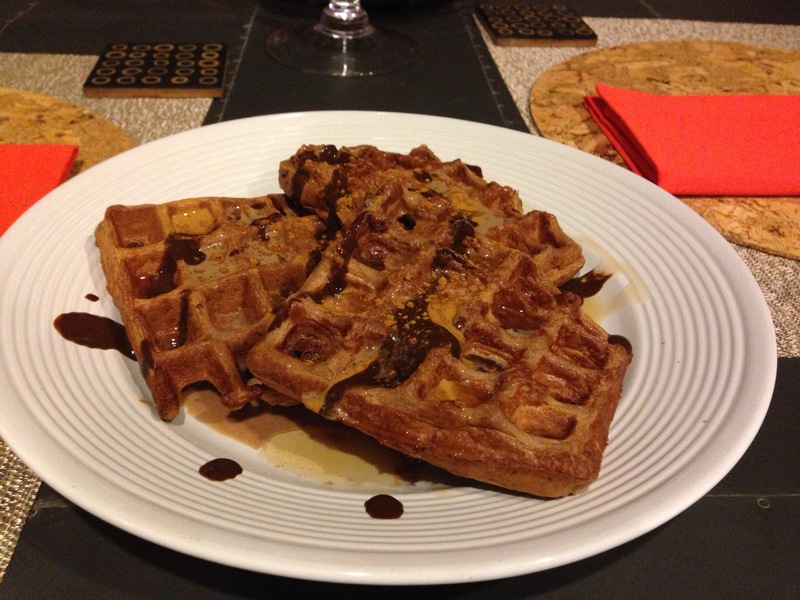 Mix well and pour over your waffles! !